Lisa Genova is a neuroscientist whose bestselling novels --- STILL ALICE, LEFT NEGLECTED, LOVE ANTHONY and INSIDE THE O'BRIENS --- revolve around people living with neurological diseases and disorders. 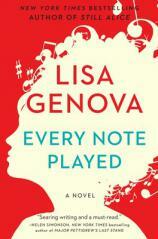 Her latest book, EVERY NOTE PLAYED, is no exception, as an accomplished concert pianist battles ALS (also known as Lou Gehrig’s disease) while trying to make amends with his ex-wife before time runs out. In this interview, Genova talks about how Richard Glatzer, who wrote and directed the film version of STILL ALICE and died of complications from ALS, served as the inspiration for this novel. She also describes her meticulous writing process, speaks fondly of the many individuals who informed her intensive research, and explains what she would like readers to take away from EVERY NOTE PLAYED. Question: How did the experience of writing EVERY NOTE PLAYED compare to your previous writing experiences? Your previous novels have been critically acclaimed New York Times bestsellers. Did you feel added pressure while writing this one? 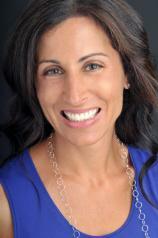 Lisa Genova: I wrote this book much faster than any of my other books. Eight of the people I’d come to know with ALS died before I finished the final draft. This disease can move with alarming speed, and I think this lent a sense of urgency while I was writing, that I couldn’t write fast enough. I was very much aware that many of these new friends of mine would die before they had the chance to read what they had helped me create. I penned the first draft of EVERY NOTE PLAYED in less than a year, and it came out of me almost fully formed. The only pressure comes from the sense of enormous responsibility I feel to the people living with these conditions and diseases. ALS is brutally unfair, cruelly debilitating, shockingly fast and deadly. For the families who invited me into their lives at their most vulnerable, who shared their fears and hopes and tears and naked truths, and for every family traveling a similar journey, I want to make the best use of what they so generously gave me. I want to make them proud. I want this story to expand the world’s consciousness of ALS beyond the ice buckets, to generate a compassionate awareness that contributes to better resources for care and research that leads to treatments and ultimately an end to this hideous disease. Q: Many of your novels center around neurodegenerative diseases. Why did you decide to focus on ALS in this novel? LG: This book began with Richard Glatzer, who, along with his husband Wash Westmoreland, wrote and directed the film Still Alice. Richard had bulbar ALS, which means that his symptoms began in the muscles of his face and neck. I never heard the sound of Richard’s voice. He brilliantly codirected Still Alice by typing with one finger on an iPad. Shortly after the film premiered at the Toronto International Film Festival, I told Richard that I wanted to write about ALS next and asked him if he would help me understand some of what he’s experiencing. He was all in. We communicated by email. At this point, both of Richard’s arms were paralyzed. He wrote to me with his big toe. I am forever grateful to him for all he gave to the creation of the film Still Alice, for sharing with me what it feels like to live with ALS, for showing us all what grace and courage look like, for not giving up on his dreams. Richard died on March 10, 2015, shortly after Julianne Moore won the Oscar for Best Actress. Q: Were there other people who informed your research? LG: As with all of my books, I do intensive research. My goal is to tell the truth under the imagined circumstances, so I need to know the details in detail. This can’t be done in a Google search. I came to know 13 people living with ALS, all in various stages of the disease, from less than a week after diagnosis to the day some passed away. Eight of the 13 died before I finished writing this story. I’m honored, humbled and forever changed by knowing all of these beautiful people and their families, grateful for every exquisitely intimate insight they shared with me. I became particularly close to Kevin Gosnell (and his family), Chris Engstrom and Chris Connors, and miss them immensely. I shadowed neurologists James Berry and Merit Cudkowicz and nurse practitioner/codirector Darlene Sawicki at the ALS Clinic at Massachusetts General Hospital. I had countless invaluable conversations and road trips to the beds and living rooms of people living with ALS with Ron Hoffman, founder, director and hero of Compassionate Care ALS. I interviewed Jamie and Ben Heywood, who lost their brother to ALS (their family’s story is profiled in the film So Much So Fast and in the book HIS BROTHER’S KEEPER: A Story from the Edge of Medicine by Jonathan Weiner). I spent time with Rob Goldstein and the amazing folks at ALS TDI. I visited Steve Saling and Patrick O’Brien at the Leonard Florence Center for Living (see Patrick’s documentary, TransFatty Lives). I learned about Hospice care from Kathy Bliss and augmentative communication options from John Costello. I FaceTimed with folks who didn’t live near me, as far away as British Columbia. Q: Can you tell us about your writing process? Did knowing that ALS is a terminal illness affect the way that you wrote? Were there any turns that the plot took that surprised you? Q: Do you have any favorite scenes in EVERY NOTE PLAYED? What are they? Q: Music plays an important role in the lives of Richard and Karina, and you wrote about each of their styles with such authenticity. How did you accomplish this? What were you listening to while you wrote? Q: What would you like your readers to take away from EVERY NOTE PLAYED? LG: Maybe prior to reading EVERY NOTE PLAYED, readers read TUESDAYS WITH MORRIE, watched The Theory of Everything, or dumped buckets of ice water over their heads. They probably had some awareness of ALS. I hope they now have a deeper and more compassionate understanding of what it feels like to live and die with this disease. Q: Are you working on anything now? Can you tell us about it? LG: I’m writing a nonfiction book about memory. My next novel will be about bipolar disorder. Oh, and I’m right now re-reading the script for Inside the O’Briens!